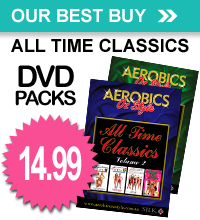 Description: Dynamic instructor Kelly Martinovich takes you through this all new exercise programme from the Aerobics Oz team. This total body workout requires using a swissball and concentrates on deep abdominal strengthening. Kelly works on your upper body and also takes you through a great routine to firm and tone the buttocks region. Have fun and reap the rewards from this fantastic workout.